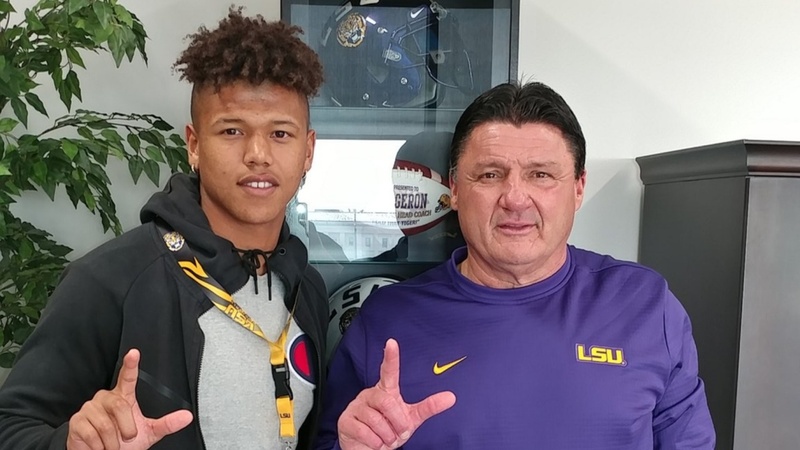 Class of 2020 athlete Jaden Navarrette‍ a high four-star prospect rom Norco, California has verbally committed to LSU. He's currently on an unofficial visit in Baton Rouge. “Man I love it a lot I feel like I’m at home,” he said. At Norco, the 6-foot-3, 235-pound Navarette has played defensive end and outside linebacker on defense, and offensively wide receiver and tight end. Navarrette tells TigerBait that LSU is recruiting him as an outside linebacker. He committed to LSU over offers from USC, Oregon, Tennessee, Michigan and many others. With his pledge, the Tigers now have 10 commitments for the class of 2020.